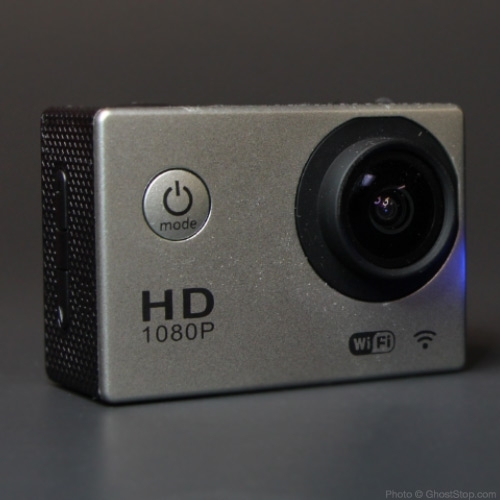 This mountable POV camcorder takes true Full Spectrum HD video completely hands free. Mount it anywhere you like with any of the various mounting systems from head straps, chest mounts to bike mounts. 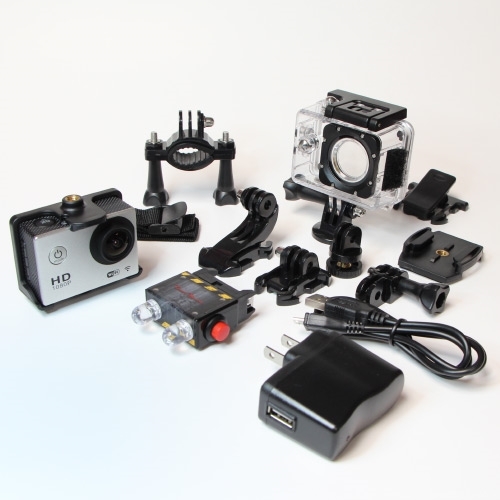 This cam is compatible with most of the GoPro mounts and accessories. FREE IR Light + Accessories for a LIMITED TIME! We have custom made a compact infrared (IR) light with 2 LEDs that attaches directly to the camera for night vision support. Included light offers night vision visibility in total darkness. See light here. This cam also comes with a HUGE sampling of mounting accessories. 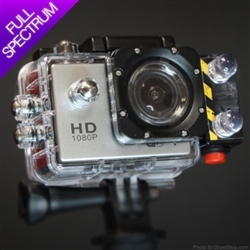 This modified Full Spectrum 1080p HD camcorder takes full spectrum video to a whole new level that you can mount anywhere. This camcorder has been professionally modified with UV and IR sensitivity to view the full spectrum of light including light not seen with the human eye. 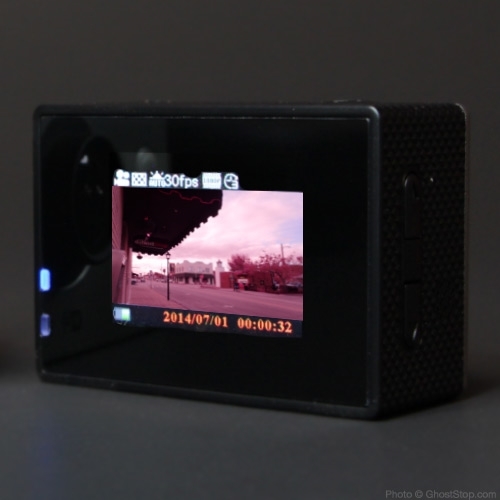 We have designed these cameras specifically for extended use in low light. Not only have we modified it for full spectrum but we have also customized the cameras internal firmware in order to allow for more efficient power usage for extended recording time. So, even though you can swap the battery our for a new one, you'll have to do it far less with our added customizations. This full spectrum high definition video camera will capture images reflected within both ends of the light spectrum - where theories suggest that spirits reside. You can use it as a night vision camera or go full spectrum with your choice of lighting. As flexible as this camera is, you will find it an effective and essential photographic evidence gathering tool. 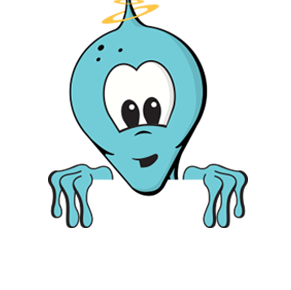 This product is made right here at UFOStop. *NOTE* This camcorder may not be suitable for everyday use such as family gathering and sporting events as the hardware modifications to the unit make the picture constantly a 'pinkish' hue during use in daylight. Because these units are custom modified, we generally ship within the 'availability' estimate shown above but please allow up to 2 weeks before shipment.